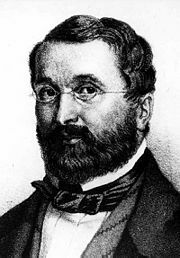 Adolphe Charles Adam (July 24, 1803 – May 3, 1856) was a French composer and music critic. A prolific composer of operas and ballets, he is best known today for his ballets Giselle (1844) and Le Corsaire (1856, his last work), his opera Les Toréadors (AKA Le toréador ou L'accord parfait) (1849), and his Christmas carol O Holy Night (1847). Adolphe Adam saw himself in a leadership role to generate public interaction and communication of traditional values through his dramatic operas and ballets. This was a unique form of public education of values clarification. Adam was born in Paris to Louis (1758-1848), born Johann Ludwig Adam in Muttersholtz, Alsace), also a composer and a professor at the Paris Conservatoire. His mother was the daughter of a physician. As a child, Adolphe Adam preferred to improvise music on his own rather than study music seriously. He entered the Paris Conservatoire in 1821, where he studied organ and harmonium under the celebrated opera composer François-Adrien Boïeldieu. Adam also played the triangle in the orchestra of the Conservatoire. However, he did not win the Grand Prix de Rome and his father did not encourage him to pursue music as a career. By the age of 20, he was writing songs for Paris vaudeville houses and playing in the orchestra at the Gymnasie Dramatique, where he later became chorus master. Like many other French composers, he made a living largely by playing the organ. In 1825, he helped Boïeldieu prepare parts for La dame blanche and made a piano reduction of the score. He was able to travel through Europe with the money he made, and he met Eugène Scribe, with whom he later collaborates, in Geneva. By 1830, he had completed 28 works for the theater. After quarreling with the director of the Opéra, Adam invested his money and borrowed heavily to open a third opera house in Paris: the Théâtre National. It opened in 1847, but closed because of the Revolution of 1848, leaving Adam with massive debts. His efforts to extricate himself from these debts include a brief turn to journalism. From 1849 to his death in Paris, he taught composition at the Paris Conservatoire. French composer Adolphe Adam composed the music for the Christmas carol "O Holy Night"
His Christmas carol Cantique de Noël, often known by its English title O Holy Night, has become an international favorite. On December 24, 1906, Reginald Fessenden, a Canadian inventor, broadcast the first AM radio program, which included him playing O Holy Night on the violin. The carol therefore appears to have been the first piece of music to be broadcast on radio. Les obsèques de M. Adolphe Adam auront lieu lundi 5 mai, à 11 heures, en l'église de Notre-Dame-de-Lorette, sa paroisse. Adolphe Adam is buried there in the Cimetière de Montmartre (Montmartre Cemetery). ↑ Vivi Abrams, Jews take credit for writing, singing Christmas songs Atlanta Jewish Times. Retrieved September 6, 2018. ↑ See the reproduction at Minuit Chretiens, Une Partition D’Adolphe Adam Retrieved September 6, 2018. IMSLP - International Music Score Library Project's Adam page. This page was last modified on 25 September 2018, at 20:49.